Cristiano Ronaldo took to social media on Saturday to express his delight at making a winning start to his Juventus career. 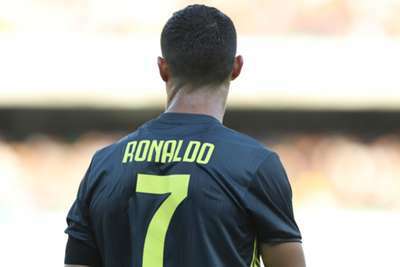 Ronaldo did not get on the scoresheet as Juve triumphed 3-2 at Chievo in their Serie A opener, Federico Bernardeschi scoring the winner in stoppage time after the defending champions had earlier fallen 2-1 behind. Mario Mandzukic thought he had won the game for Juventus before Bernardeschi settled matters, only for VAR to disallow the goal, with Ronaldo having possibly handled and collided with goalkeeper Stefano Sorrentino in the build-up. And despite not grabbing a goal for himself on his bow for the Turin club, former Real Madrid star Ronaldo - who arrived in a €112million deal last month - tweeted: "Happy with my first victory in a Juve shirt!" Ronaldo will have his next chance to open his Juve account when they host Lazio next weekend.